The long awaited Apple event is just over; and they have finally announced the much speculated iPhone 5C along with the traditional iPhone 5 upgrade – the iPhone 5S. Though we have been hearing quite a lot of rumors about the new iPhones over the past few weeks, most of them turned out to be true this time. Let’s take a look at what Apple has to offer this time with the new iPhones. Build quality and design: The new iPhone 5C is built on a single polycarbonate plastic body. The continuous, seamless surface feels like nothing you would expect from a plastic phone. The build quality is good enough considering the fact that it’s not aluminum. The smooth finish feels great to hold in your hands. iPhone 5C comes in 5 different colors: Pink, Yellow, Blue, White and Green. These colors represents the back side; the front face is black for all the variants. An interesting point to note here is that the iPhone 5C weighs more (132 g) than the iPhone 5S (112 g). Specifications: From the inside, iPhone 5C is built on fairly similar features to the iPhone 5. It sports an Apple A6 Chip, an 8 MP iSight Camera with LED flash and front facing FaceTime HD camera which works well even in low light conditions. The screen is a 4 inch Retina display with integrated touch, sRGB and widescreen video support. Additionally, it also supports more LTE bands (13) than any other smartphone. Other specifications of the iPhone 5C include dual band WiFi (a/b/g/n) and BlueTooth 4.0. The iPhone 5C hosts the same set of sensors as in iPhone 5: Three axis gyro, Accelerometer, Ambient Light Sensor, Proximity Sensor, Magnetometer and Compass. Contractual: $99 (16 GB) and $199 (32 GB) with AT&T, Sprint, T-Mobile and Verizon. All new iOS 7: iPhone 5C is powered by the most innovative mobile operating system till date. The iOS 7 beautifully lays down a translucent ecosystem for the users, and with iPhone 5C, the iOS 7 is deeply toned, in look and feel, towards the specific color of the phone. New Cases: As an extra, Apple is officially launching new cases / covers to compliment the color of your new iPhone. Price: The new iPhone 5C will ship in two different models in terms of capacity. The 16 GB model is priced at $99, while the 32 GB model will cost $199. Both these prices come under a 2 year contract available with AT&T, Verizon, Sprint and T-Mobile. The iPhone 5C covers will cost $29 more. Off contract, the 16 GB iPhone 5C will cost $549, whereas the 32 GB variant will be available for $649. Pre-Order and Release: Pre-orders for the new iPhone 5C starts from September 13, 2013. It will be available on stores from September 20, 2013. 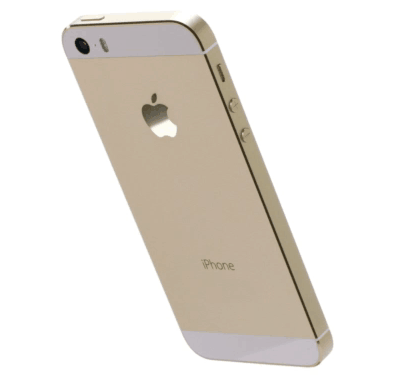 Build quality: Apple’s higher end iPhone, the iPhone 5S, is built on the same aluminum make of its predecessor, the iPhone 5. iPhone 5S comes in three different colors – white, gold, and space gray – and physically looks the similar to the iPhone 5. One notable point to mention here is that the iPhone 5S doesn’t come in black. So people who want to buy a royal black iPhone might be a little disappointed. Specifications: Under the hood the iPhone 5S packs an all new Apple A7 Chip that is twice as fast as the A6, with twice the graphics processing too. The iPhone 5S is about 5 times faster than the iPhone 5. In addition to the A7 Chip, iPhone 5S also has what is called a motion co-processor, the M7. The M7 dedicatedly processes motion data – gyro, accelerometer, compass and lets the A7 to take care of the other number crunching and graphics processing tasks. It runs Open GL ES 3.0 which delivers better performance for graphics-intensive games. Moreover, the A7 Chip is built on a 64 bit kernel and is able to run both 32 bit and 64 bit apps. The A7 is the world’s first 64 bit mobile processor. The screen on iPhone 5S is the same as that of 5C with a 4 inch Retina display. The back camera on the iPhone 5S is the same 8 MP iSight camera, but now with 1.5 µ pixels, instead of the 1.3 µ of iPhone 5. The camera supports a new feature called the Burst Mode to take multiple shots in quick succession. Instead of LED flash, the iSight camera is assisted by what Apple calls “True Tone Flash”. In addition to Burst mode, the iSight camera is also capable of capturing videos at high speeds with a feature called Slo-Mo. When this feature is enabled, the camera is capable of shooting at 120 fps. The FaceTime Camera in front is the same 1.2 MP as in iPhone 5C. In the sensors department, the iPhone 5S brings revolutionary new security features. Apple iPhone 5S now supports Fingerprint identity. Incorporated in the phone’s home button, the Fingerprint sensor is capable of storing multiple fingers. Forget passwords; now you can authenticate yourself with your fingerprints. Apple named this new security feature as TouchID. TouchID is totally secure and safe as the fingerprint sensor is directly integrated with the A7 Chip. Your fingerprint stays inside your iPhone with the A7 Chip. It cannot be synced to iCloud and cannot be used by other apps. TouchID is only meant as a replacement of password; and can be used for making purchases, unlocking device, etc. Contractual: $199 (16 GB), $299 (32 GB) and $399 (64 GB) with AT&T, Sprint, T-Mobile and Verizon. Cases for iPhone 5S: You can also make your iPhone 5S colorful with the help of additional covers. Covers come in multiple colors and will cost $39 a piece. Price: The iPhone 5S comes in 3 storage variants: a 16 GB model which costs $199, a 32 GB model which costs $299 and a 64 GB model for $399. All these prices are subject to a 2 year contract with the usual mobile careers. The off contract variant of iPhone 5S will cost $649 for 16 GB models, $749 for 32 GB models and $849 for the 64 GB model. Pre-Order and Release: iPhone 5S will not be available for pre-order. It is expected to hit the stores on September 20, 2013. * – Unconfirmed. No official record of these specifications have been revealed till now. Apple will start rolling out iOS 7 to its customers on September 18, 2013. In addition to the iPhone 5C and the iPhone 5S, a few other older iOS devices will also be able to upgrade to iOS 7 (given below). iOS 7 will be available for the following Apple Devices: iPhone 4, iPhone 4S, iPhone 5, iPad 2, iPad with Retina display, iPad Mini and the 5th Generation iPod Touch. Camera, Photos, Music, Phone, FaceTime, Maps, Safari, Siri, Messages, Mail, Passbook, Videos and many more. Both iPhone 5C and iPhone 5S will be available in stores from September 20, 2013. It will be available in the following countries: United States, Australia, Canada, China, France, Germany, Japan, Singapore and United Kingdom. The products will be rolled out to other countries at a later time. An interesting fact to note is that Apple seems to have ditched the iPhone 5 completely in favor of the iPhone 5C. Apple’s official website, as of now, does not list the iPhone 5 at all. The only featured iPhones are the iPhone 4S (free with contract for the 8 GB model), iPhone 5C and the iPhone 5S. The iPhone 5C is built nearly on the same set of specs as in iPhone 5, and the slight drop in price for the 5C may have been compensated with the plastic build. Anyway, Apple has kept quiet regarding this matter and we are not sure what Apple’s strategy is. We’ll update you as soon as we know anything. Till then, stay tuned for more news on the next generation iPhones.